Daphne’s new life is a far cry from the one she had in Westchester where, just months before, she and her husband welcomed little Chloe. 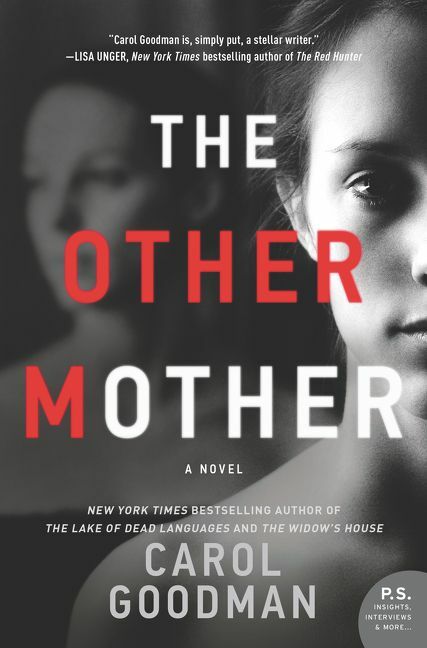 From the start, Daphne tries to be a good mother, but she’s plagued by dark moods and intrusive thoughts that convince her she’s capable of harming her own daughter. When Daphne is diagnosed with Postpartum Mood Disorder, her downward spiral feels unstoppable—until she meets Laurel Hobbes. 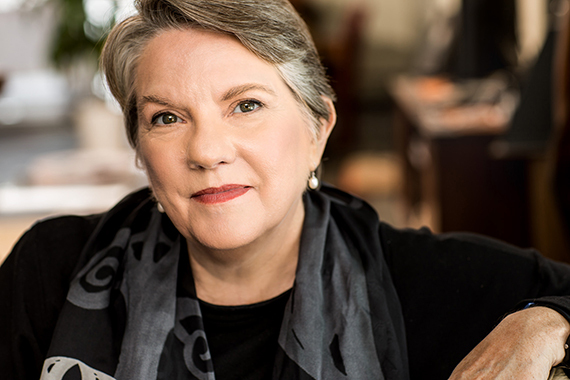 Carol Goodman is the critically-acclaimed author of fourteen novels, including The Lake of Dead Languages and The Seduction of Water, which won the 2003 Hammett Prize. Her books have been translated into sixteen languages. She lives in the Hudson Valley with her family, and teaches writing and literature at the New School and SUNY New Paltz. 1. Describe the setting of the novel. How do the surroundings create a mood or reflect the thoughts and actions of the characters in the story? 2. What was your first impression of Daphne? Did you think she was a good mother? What about Laurel? 3. When did things first appear to be off with Sky? Can you point to a specific moment in the story when you felt that she wasn’t quite who she seemed to be? 4. Describe and compare the narrative voices between the three journal writers (Daphne, Laurel, and Edith). 5. The connection between women and madness goes back a long way. Indeed, the term “hysteria” originates from the Greek word for uterus, hystera. And throughout history, women who have rebelled against patriarchal control and the demands for respectability were considered “deviant” or “mad.” How do the female characters in The Other Mother play into this historical narrative? Are they acting out against male control? How so? 6. Do you think Peter is a good husband? Why or why not? 7. There’s a lot of doubling—groupings of two characters who appear to resemble or switch places with each other—throughout this story. Describe these groupings. In what ways do the characters double each other? 8. Take a moment to think about the significance of myths in this story, particularly those about Solomon and the changeling. What do these myths suggest about motherhood? How do they inform specific moments in the novel? 9. What is postpartum depression? How much did you know about this condition going into the story? What did you learn? 10. Comment on the story’s narrative structure. How does the nonlinear format engage with the story’s themes of psychosis, depression, and mental illness in general? If the narration unfolded from start to finish, how would the reading experience change? 11. When Billie first tells Daphne about the woman who jumped from the tower, what did you make of the story? Did you suspect it was Sky or somebody else? 12. The story relies heavily on first-person perspective and written documentation (such as the journal entries and doctors’ files). How does this intimate method of storytelling challenge stigmas against mental illness? To what extent do you consider the characters depressed or neurotic? 13. Are you satisfied? What do you envision the future will look like for Daphne and the other characters?